SQL Server – Performance – Best Practice – Create Index Before or After a data insert? As a part database developer myself, I am sure that what I am about to document today will be useful to almost everyone who has ever written a stored procedure for with indexed tables for SSRS reporting or massive batch processing. What I will be trying today is to find an answer to the dilemma – Should indexes be created before or after the insert to the table? WARNING: The scripts provided in this post are provided “as-is” and without warranty for understanding purposes only. Using the DBCC scripts provided in the post on your QA or production environments can have serious side effects. In order to create the test environment, I will first create a test table, create the necessary indexes and finally add some test data to it. Next, I will create another table. However indexes will be created after test data is inserted. The first thing I will do is to check if statistics for both tables are updated or not. Next, allow me to present a set of SELECT queries that would fetch data from the tables of interest. STEP 08 A: Clear out the Buffers and the procedure cache. : Make sure to run a CHECKPOINT! STEP 08 C: Clear out the Buffers and the procedure cache. First of all, I would like to draw attention to a line mentioned in the Profiler’s description of the “Missing Column statistics” event class. The line states – “You will not see this event produced unless the option to auto-compute statistics is turned off”. For the TempDB, auto-compute statistics is ON, so that’s not the root cause to this issue. Revisiting Books On Line, (http://msdn.microsoft.com/en-us/library/ms190397.aspx), the section: “Determining When to Create Statistics”, clearly mentions that: The query optimizer creates statistics for indexes on tables or views when the index is created. More precisely, statistics, if missing, are created when a select is performed on the columns for which missing statistics were found. In our case, we created the indexes on table #2 (“UpdateStatistics”) after data was inserted. Because creating indexes involves selecting data from the table, a statistics update is performed. For table #1 (“DontUpdateStatistics”) though, the indexes were created before inserting the data. When the query #1 was executed, the statistics are generated, and then the optimization happens – which makes the query a little bit slower as it spends more time on the read-ahead reads. If we look up on Books On Line for STATISTICS IO (http://msdn.microsoft.com/en-us/library/ms184361.aspx), we can see that the read-ahead read count gives us the number of pages placed into the cache. In our case, all pages for table #1 have to be placed in the cache for the statistics update. It’s been a rather long post, with a simple conclusion. It is important to think about when index creation should be performed because using the proper sequence is important from the performance and IO perspective. 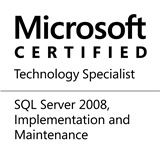 This entry was posted in #SQLServer, Blog, Imported from BeyondRelational and tagged #SQLServer, Administration, Best Practices, DBA, Performance Tuning on November 7, 2011 by nakulvachhrajani. Nice post with good example. I like the sentence: It is **important to think** about when index creation should be performed because using the proper sequence is important from the performance and IO perspective. If you create your table, load your data, then create your indexes, you stand the risk of the CREATE INDEX failing because your pre-existing data doesn’t conform to the assumptions of the index. If you have a column(s) which is supposed to have unique values, enforced by an index, PRIMARY KEY constraint, FOREIGN KEY constraint or uniqueness contraint, the CREATE INDEX statement will fail. If you are going to create tables, load data, then create indexes (as is common practice in data warehousing), you must pre-validate your data or risk the CREATE INDEX statement failing. Why is it common practice to load data first, then create indexes (or drop indexes, load data, then re-create the indexes)? Because for every row inserted or updated, it is validated against the indexes associated with the table you are inserting into, the indexes are updated and then the row is inserted. For every row deleted, all indexes associated with the table are also updated. If you aren’t going to be there to pre-validate your data, create your indexes first. Your data will be validated against your indexes. If you can pre-validate your data, load your data first, then (re-)create your indexes. If you are using clustered indexes, you also want to pre-sort your data. One thing I’d like to know is the end-to-end performance difference. Even if statistics are already created in one method when doing the first SELECT, this doesn’t prove the overall performance was better. All we really know is that it delays creating the statistics, but the engine still has to do this task in both scenarios, so bundling the cost of it into the SELECT doesn’t really prove anything since that method avoided the cost earlier. I’d like to see a profiler trace of the entire process for method 1 compared to a profiler trace of the entire process for method 2. I’d also like to see information on the final fragmentation of the two tables. Theoretically (at least in the strange recesses of my own imagination), creating the index before loading the table could result in less fragmentation. Depending on the planned usage of the table, this could be more important than a minor performance difference up to the first select. The amount of reorganization needed to convert a heap to a clustered index depends on the disorganization of the data as inserted. If during row insertion from another source a destination table’s clustered index is already present, it seems to me that less memory or tempdb could be required because it could result in almost a write-once operation (though of course that’s not completely true because there would be page splits nonetheless, but after each write the row could be forgotten about). Contrast this with the work necessary to sort the heap *in-place*. That could theoretically take *double* the new storage allocation temporarily, while the new location is written with the data and before the old location is destroyed–as required by ACID and to make the transaction reversible if it does not complete. An analogy would be the difference between moving 52 shuffled cards one at a time to a new sorted list, vs. reorganizing the cards in-place. The first task is substantially easier (think of them end to end on a table rather than stacked). It could be that a very disorganized heap would yield best performance with index-first, and a nearly index-order heap would yield best performance with index-last. I think more testing is in order. nice post nakul and thoughtful comments by marc and eric. Our build process involves creation of database, DB objects all driven through TSql scripts. Some of the master tables have Seed data. Once the Database, table and procs are created, including indexes and constraints, the seed data(insert) scripts are executed, in the sequence. So far fine. As part of supporting multi languages, one of the our languange attributes related data has grown 10 fold. Instead of a single large script file, the seed data script is split on per language basis, confining the script file size. The issue being encountered, is that there is a long delay in the execution of all the scripts. Would this help. If the data is pre-validate to support the index and constraint definition. Why don’t you try it and post the results back to us? And once the data is loaded, how fragmented are the indexes? @ErikEckhardt – I surely will. It’s been a busy month at the office and therefore, I have been noting the things to do down in my little notepad. Hopefully, I should get some time in the Christmas week-end. Are you seeing transaction logs and data files autogrowing? If so, pre-allocate the necessary space. Remember, this will apply to both the user database and tempdb. Also, you may want to check if “instant file initialization” is enabled. You do this by adding the SQL Server service account to the “Perform Volume Maintenance Tasks” local policy. This will allow data files to grow very quickly, but has no effect on transaction logs. Where are you seeing the delay? During [create tables], [load], [apply indexes and constraints]? Have you paid attention to the order in which indexes are applied? Create CLUSTERED indexes first, then NONCLUSTERED indexes. If you create NONCLUSTERED indexes first, then CLUSTERED indexes, when you create the clustered index, all nonclustered indexes will be re-created.